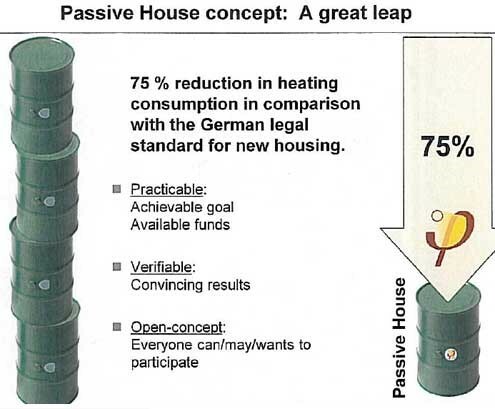 The aim of the passive house concept is to construct a house that comes as close as possible to heating and cooling itself in a passive manner, thus removing the need for a conventional heating/cooling system such as a boiler/air conditioner or geothermal heat pump. Why use Dingle Homes to build your passive house? We have the building techniques and experience to convert the principles of passive house design and construction into Irish building techniques and methods. We have the experience in building detailing and construction to ensure that all critical building elements are fit for purpose to withstand the Irish elements whilst at the same time meeting the passive house requirements and representing cost efficiency in the building detailing. We are fully certified and experienced to bring your ideas on energy efficiency and sustainable living to realisation. Our talents lie in construction and we can use our talents to apply the principles of a passive construction to your house and ensure no compromises are made and still be true to principles of passive house construction. If you want a passive house, that is more than just an energy saving shell, but an attractive, bespoke, sustainable home that fits in with its surroundings, we at Dingle Homes would be delighted to work with you. Our architect is an accredited and certified Passive House Designer with the Passive House Institute and our staff have completed training to become certified Passive House trades people. Passive house construction is easy for Dingle Homes as we have the technology investment made, the knowledge and experience gained to be able to apply the principles of passive house construction to any given situation allowing a creative approach to ensure the best results and best homes for our clients. Passive House construction is the way forward so why can’t you have the home of the future, now?